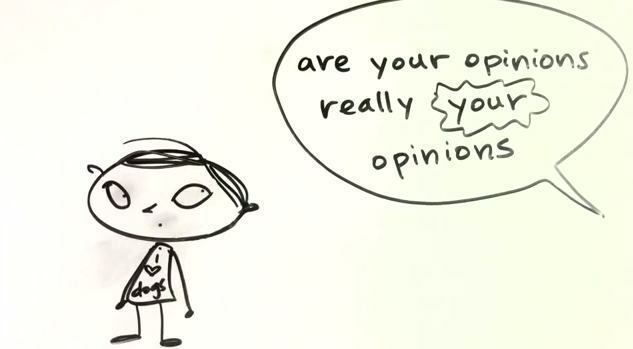 In this animated Planetary Service Announcement, Dani Katz asks us to consider if our opinions are really OUR opinions before breaking down the journey to an authentic opinion of one’s own. Dani Katz established her reputation as one of Los Angeles’ finest literary talents by way of her bold voice, her expanded perspective and her mastery of language, having published hundreds of articles in the LA Weekly, Los Angeles Times, Whole Life Times, LA Yoga and Santa Fe Reporter, among others. In addition to her broad spectrum of practical experience and formal studies, including a Master’s Degree in Journalism, she has spent the past seven years immersed in the study of mindful languaging and conscious communication, researching and perfecting the myriad ways, whys and hows that language influences our every human experience. She recently completed her first book, a narrative non-fiction unraveling of our singular relationship mythology, and is currently putting the finishing touches on her alchemical languaging tome: Every Word Matters.